Only a Brief update today as I’m running late and need to head back for the final day so I’ll update this post tomorrow. Got to the event on Saturday nice and early although I’ll have to say that one of the officials at the Belair Station bus pickup area wasn’t being overly helpful, advising the people waiting that he wouldn’t call for another bus until the next train came in which was 25 mins away. This seemed ludicrous given there were already a handful of people there and more arriving by car and parking near the station all the time. Thankfully a Bus turned up soon after with the bus driver telling us he had been given a schedule but was ignoring it so that people could be picked up. I didn’t get the drivers name but BIG thumbs up to the City of Mitcham bus driver as he drove us to the earthstation entrance with what was almost a full bus ( only 3 seats left ). 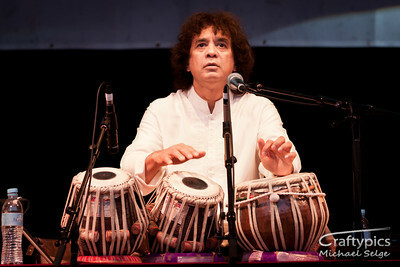 Not enough time to do a full band writeup today but honourable mentions to the Audreys and the Shanghai Chinese Orchestra but I have to say the absolute highlight of the festival so far was the performance by Zakir Hussain and the masters of percussion – absolutely breathtaking percussive rthymns. I’m going to take some extra cash today to pick up a CD. Another big plus to the last act of the night and really the only band I’ve seen that had everyone up on their feet and that was Mista Savona with their blend of Reggae and Ska. 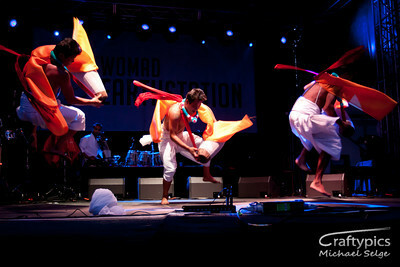 They started soon after 9pm on the Karka stage. I left at 10pm and they were cranking up the tempo. Would have loved to stay but I was feeling pretty bushed after being there for 10 hours and needed to get home to go through the photos and replenish both the camera and my own batteries.